WHAT: Whether your donation is a car that will not start or a classic you are no longer enjoying, a helpful representative can guide you in donating it to the SME Foundation. WHEN: Any time! Check with your tax advisor to see how a donation of this type may benefit you and start the online donation process today! process throughout the United States. coordinated for you, from vehicle donation and arranging free towing, to a tax-deductible receipt, all at no charge to you. 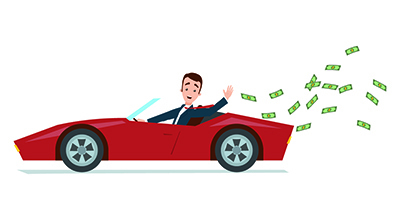 Uncertain if vehicle donation is right for you? Read reviews from other satisfied donors! ways to give to the SME Foundation? the Foundation’s Ways to Give page!